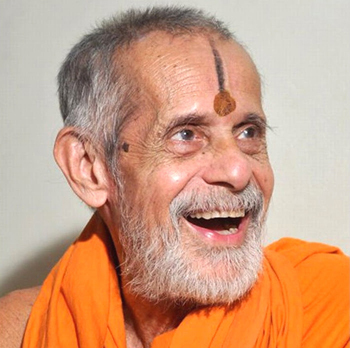 Udupi, Oct 26, 2017: Vishwesha Tirtha Swami of Paryaya Pejawar Mutt underwent an operation forhernia at the Kasturba Hospital in Manipal here on Oct 25, Wednesday. Raghuram Acharya, Dewan of Pejawar Mutt, mae a statement that doctors attending daily on the seer after his hernia operation at Kasturba Hospital on August 20, 2017, had noticed a small problem related to hernia and advised that the seer to undergo a surgical procedure for it. Accordingly, the seer was admitted to the Kasturba Hospital at around 6 p.m. He underwent the surgical procedure at around 8 p.m. and was shifted to the Intensive Care Unit (ICU) of the hospital. The doctors said that the operation went well. “The operation lasted about half an hour. The seer spoke to me after being shifted to the ICU. The seer is happy with the way the surgical procedure had been carried out,” Mr. Acharya said. The seer might have to stay in the hospital for a day or two. The seer conducted the Maha Puje at the 800-year-old Sri Krishna Mutt/Temple in the afternoon on Wednesday. In the absence of Vishwesha Tirtha, Vishwaprasanna Tirtha, junior seer of Pejawar Mutt conducted the Ratri Puje and other rituals at the Sri Krishna Mutt/Temple on Wednesday. This arrangement would continue till Vishwesha Tirtha returned and resumed his duties as the Paryaya swami. Tradition bars the Paryaya seer from leaving the Car Street during the two-year Paryaya period. But as the surgical procedure had to be carried out, the seer had to be taken out of the Car Street, where the Sri Krishna Mutt/Temple is located, and shifted to the hospital in Manipal.